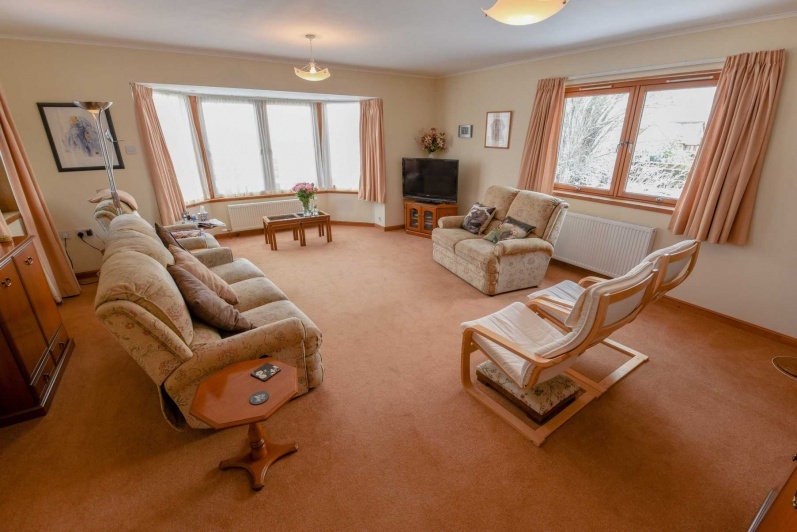 This is a very spacious detached 4 bedroomed bungalow with adjoining 1 bedroomed self-contained annex. 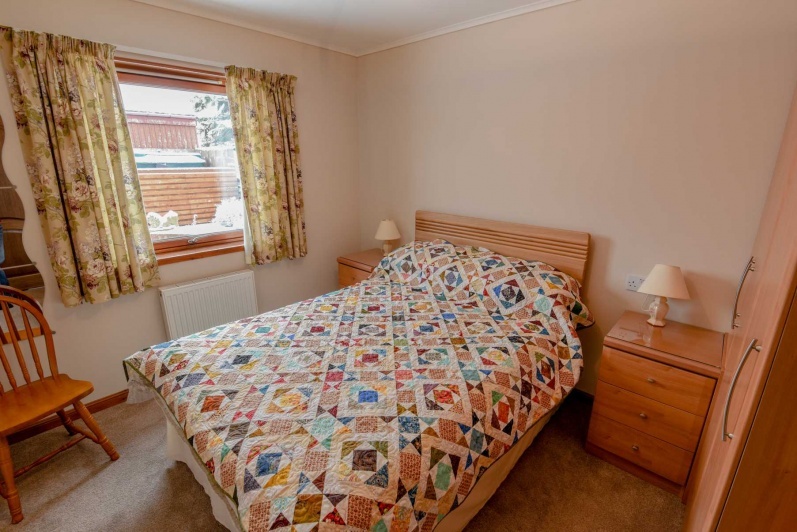 The property is in excellent decorative order throughout and has the benefit of oil central heating and double glazing. 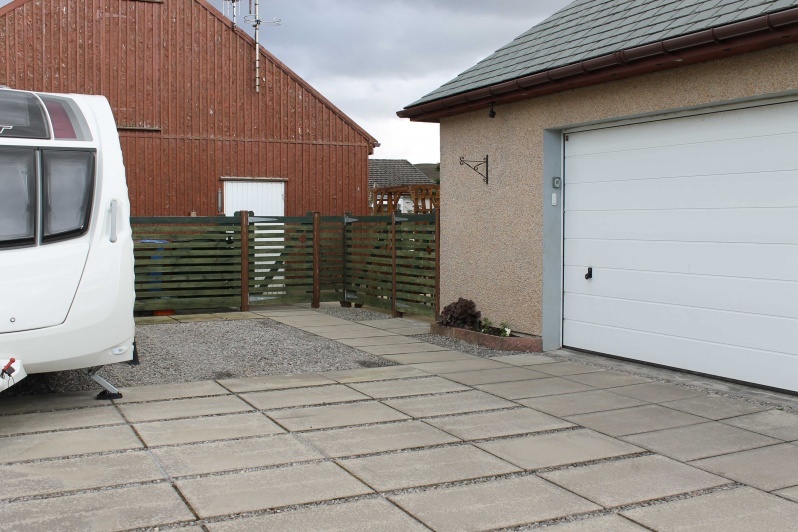 There are two garages, a double with electric doors and a single with adjoining workshop. There is off-road parking for several vehicles and easy to maintain gardens to front and rear. 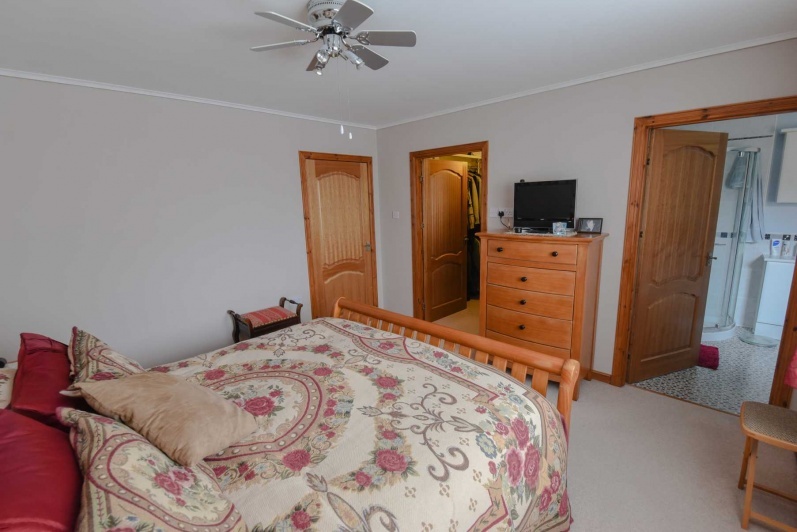 The property has been architecturally designed with large spacious rooms ideal for family living. There is also an opportunity to convert the attic space into additional accommodation subject to necessary planning permissions being obtained. 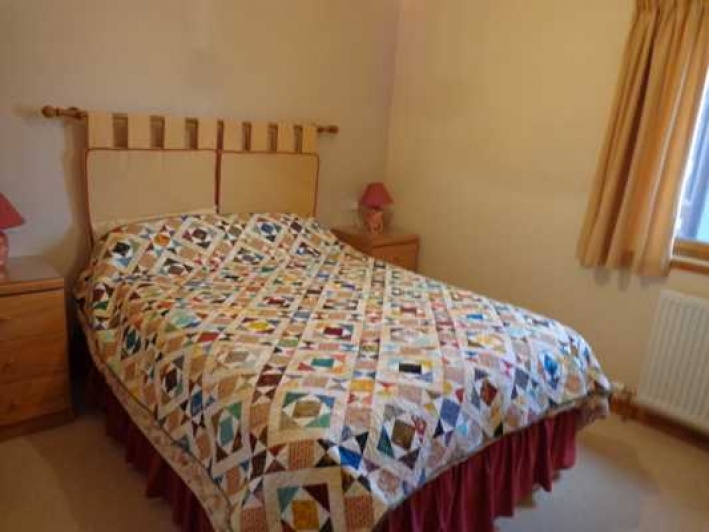 The Annex is self-contained and could be used as a holiday let. 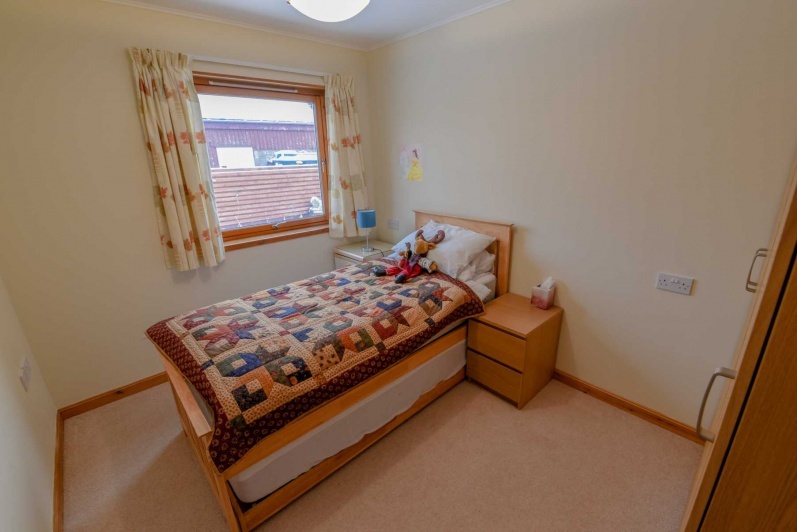 The property is being sold with carpets, curtains and blinds. Internal viewing is essential to appreciate all the opportunities this home has to offer. Tomintoul is reputed to be the highest village in the Highlands and is located near the Lecht Ski Centre within the Cairngorm National Park. It is also within the Crown Estate of Glenlivet with its many walking and cycling trails. 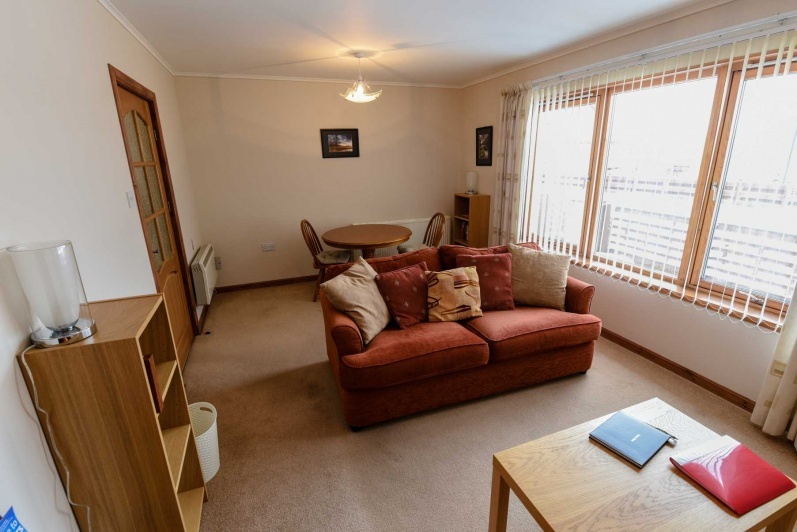 There are a range of amenities in the area with a variety of shops including a local Health Centre, primary school, post office, hotels and pubs The secondary school is located at Aberlour and served by a bus service. Sporting and leisure facilities abound including hill walking, skiing, and salmon and trout fishing on the nearby river Avon. There are also 7 golf courses within a 20 mile radius. 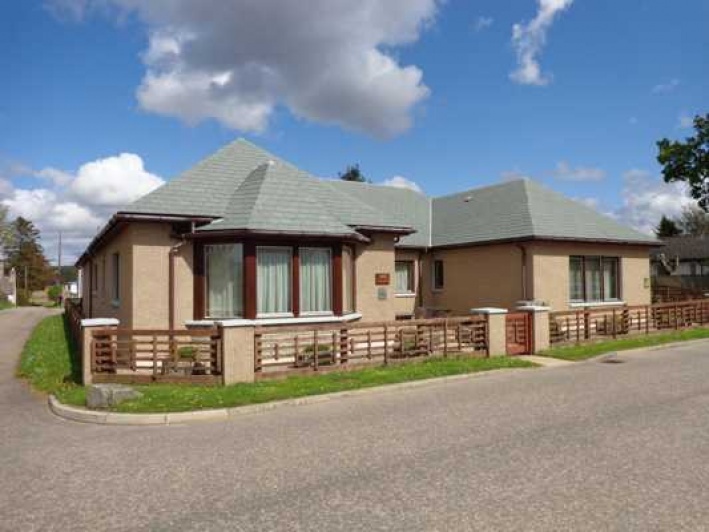 The property is situated in the heart of the malt whisky country. The timber front door opens into the vestibule area which has vinyl flooring. A decorative 6 paned internal door opens into a spacious hallway. 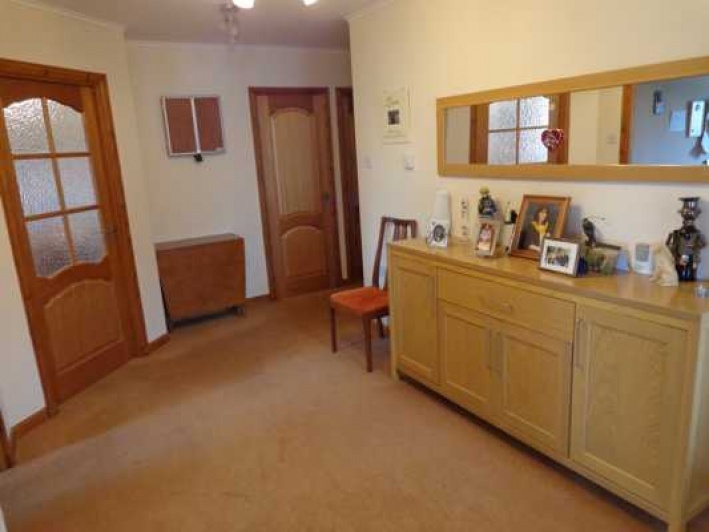 Spacious hall with fitted carpet. There is a large built-in cupboard with a hanging rail. Bright room with bay window looking to the front and 2 windows looking to the side. Fitted carpet. 2 x TV points. 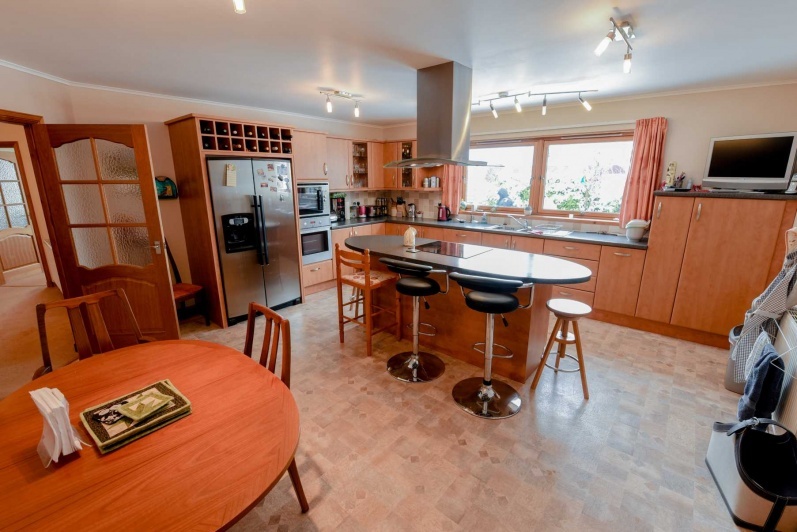 This large room has a range of wall and floor units with complementary worktops along with a centre island with breakfast bar incorporating the induction hob and canopy style cooker hood. There is also a built-in oven/grill, microwave and dishwasher. Space for fridge freezer. Window looking to the side. Stainless steel 1 ½ bowl sink. Ample space for dining table and chairs. Vinyl flooring. 4 x sets of light fittings. 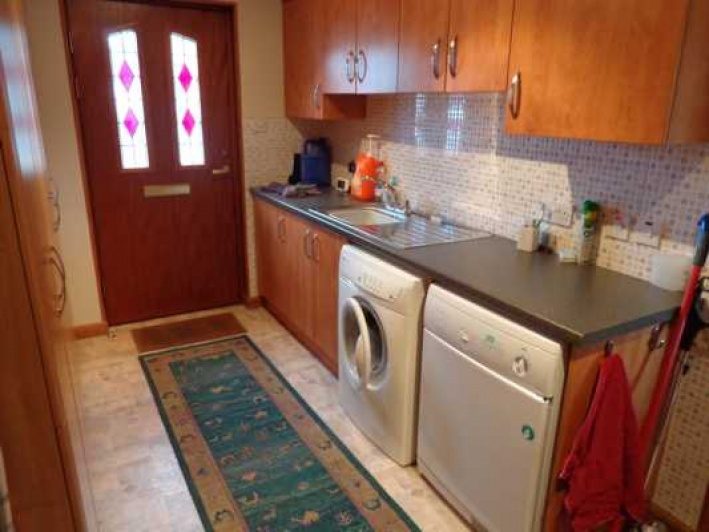 Large room with an array of cupboard space along with a stainless-steel sink and drainer. Plumbing for washing machine. Vinyl flooring. 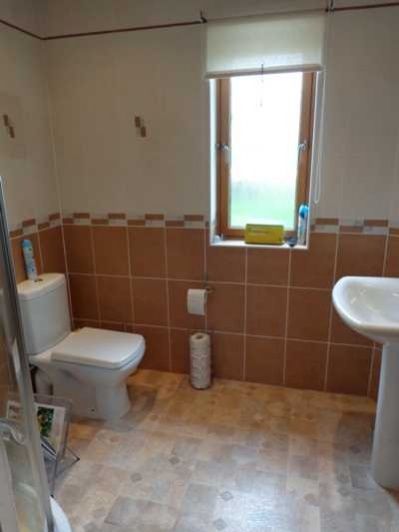 Fully tiled shower room incorporating white coloured WC, wash hand basin with pedestal and shower cubicle. Window to the side. Shaver point. Mirror with light. Vinyl flooring. This room has the benefit of an en-suite shower room and a dressing room with hanging rails and shelves. Window looking to the front. Fitted carpet. 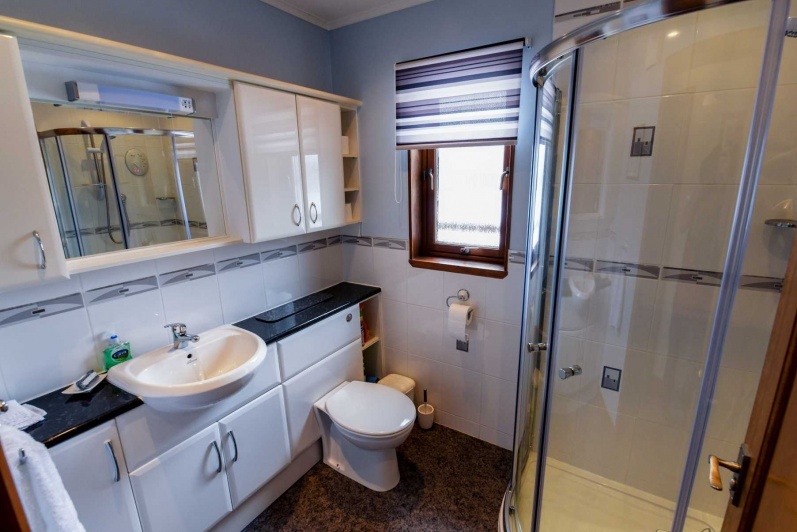 White 3-piece suite comprising WC, wash hand basin and shower cubicle. Range of built-in bathroom cabinets. Partially tiled walls. Vinyl flooring. Wall mirror with light. Window to front. Complete with hanging rail and shelving system. Fitted carpet. Window looking to the rear. Built -in double wardrobe with matching bedside cabinets. Fitted carpet. Window looking to the rear. Triple built -in wardrobe. Fitted carpet. Currently used as a hobby room. Window to the side. Fitted carpet. 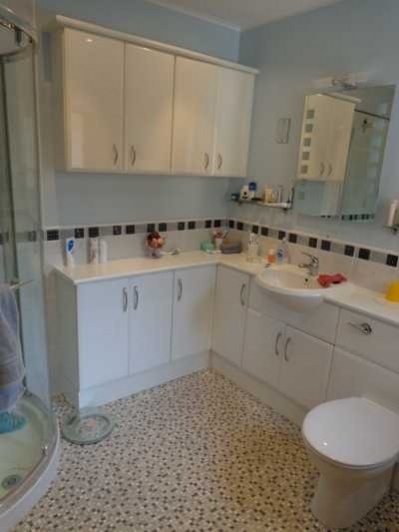 Large family bathroom complete with white coloured WC, wash hand basin and bath. Partially tiled walls. Window looking to the rear. Vinyl flooring. 6 x down lighters. 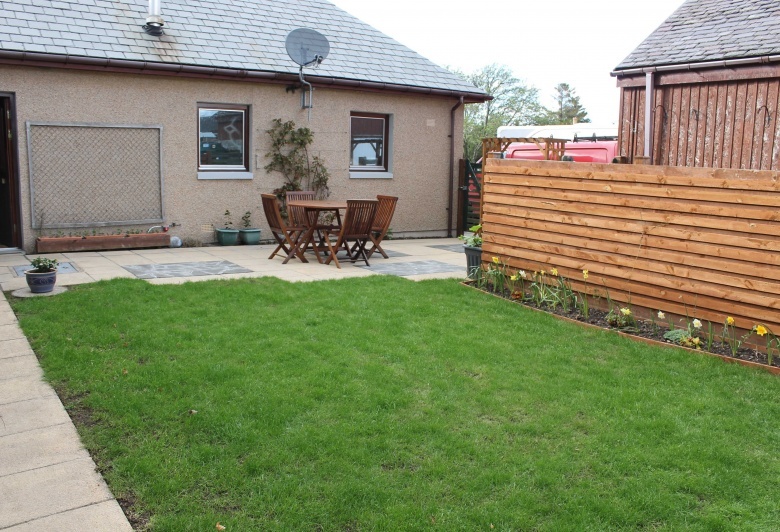 The front garden is laid out with easy to maintain gravel along with a paved seating area. 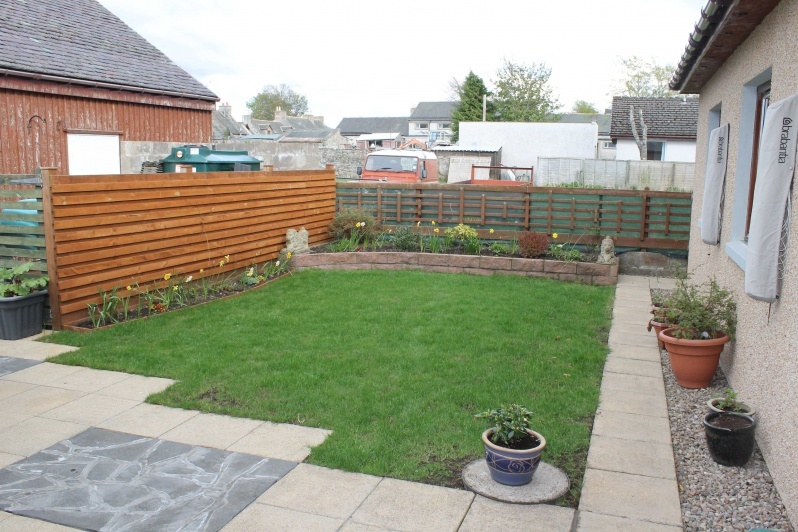 The back garden is laid out in lawn with flower borders. To the rear of the property there are two garages. One with workshop attached which has light power and shelving and a double garage with keyless entry which can be accessed from the house. In the double garage which has 2 windows, light and power there is also a hatch with an access ladder leading to the large floored attic which could be converted into additional accommodation. In the garage there is also the hot water tank and oil fired boiler. Window to the side. Outside the garage there is a large slabbed area for the parking of several vehicles. A door leads from the main house to the annex which also has its own front door. Large room with window looking to the front. Fitted carpet. Range of white fronted units with complementary worktops and wall tiles. Built-in fridge freezer. Space for washing machine. Vinyl flooring. Window to the rear. Fitted carpet. 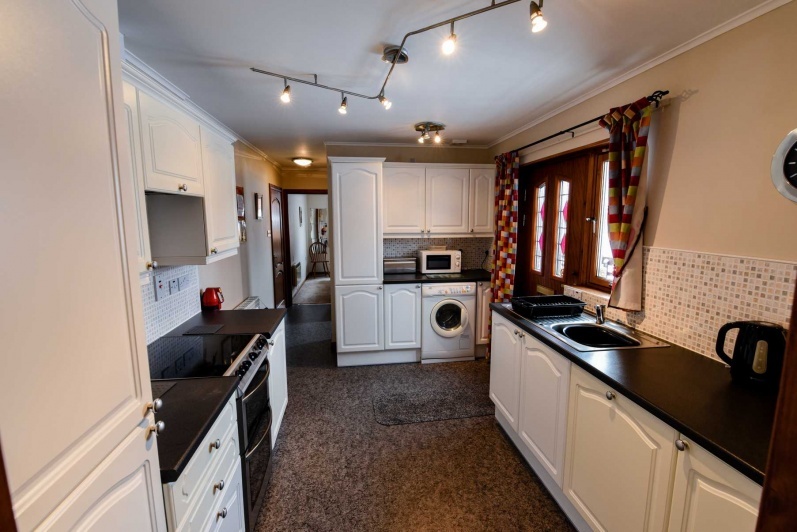 The induction hob and canopy style cooker hood, built-in oven/grill, microwave and dishwasher in the main house along with the built-in fridge freezer and washing machine in the annex are believed to be in good working order but no warranty is given. Carpet, curtains and blinds are included in the sale price. Strictly by appointment by telephoning the Selling Solicitors on 01343 549555 or 01479 872025. 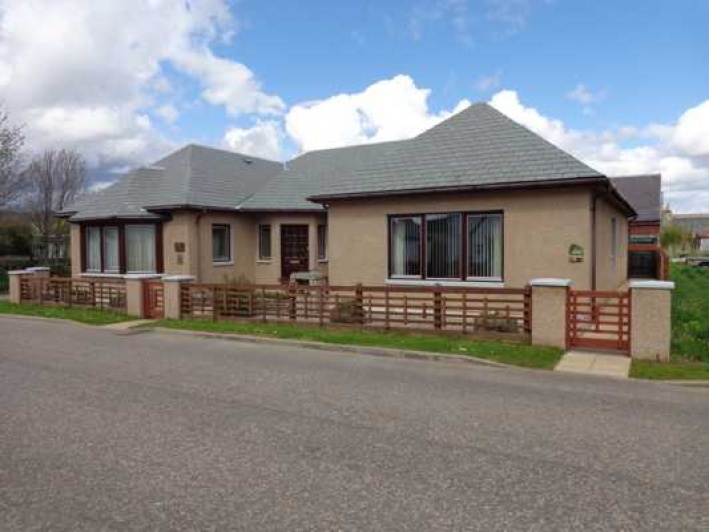 As an indication of price range Offers Over £285,000 are invited.